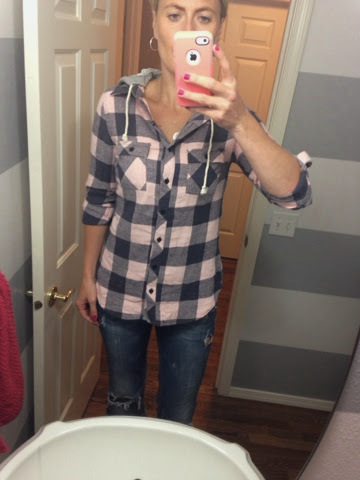 Familiar Joy: Fashion Friday: Plaid, plaid and more plaid!!! 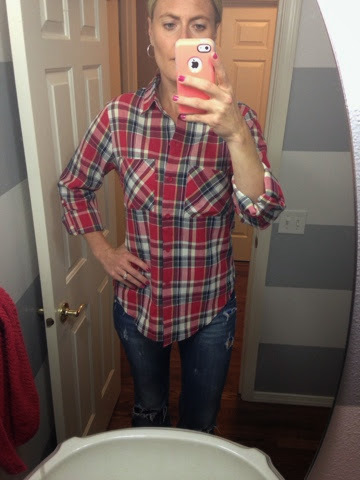 Fashion Friday: Plaid, plaid and more plaid!!! I gotta be honest, I have a major crush on plaid right now. Like, if I could make my whole closet plaid, I just might. Part of the "Style Me Pretty Challenge" that I joined (and it's not too late for you to join...the first outfit gets sent out on Sunday night!!!! ), means picking up a few extra pieces of clothing for the shopping list she provided. I was thankful to have most of the items in my closet already, but super excited to have to get a few new things to complete the list. Sorry honey. One of those items was a plaid shirt. 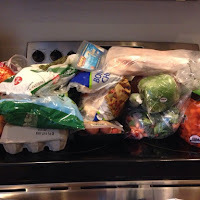 I've been on a serious mission this past week and struggled to find anything I liked. Until this. I happened to be walking past Wet Seal, at the mall, and spotted a few cute plaid tops, so I stopped in. With all of my kids in tow. Yeah, that wasn't so great. Anyway, they were having a buy one get one 50% off sale, so I decided on my two favorites. And seriously guys, these are amazing. If you don't have a Wet Seal in your area, you can order them online. I love this first one because the fit is flattering and it's got a cute hood. For size reference, this is a small. Click here to order. I love this next top because it has a different look and feel from the one above. I decided on a medium, just to be able to layer a bit more. I'm hoping I'm not sorry that I went with the larger of the sizes. It's super cozy and the arm fit is great (a problem I've experienced with several others I've tried on). Click here to order. 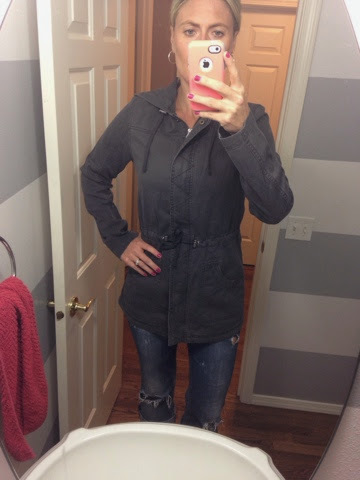 Another shopping list item that I've been keeping my eye out for is a military jacket. And this one is SO great! I almost never buy something that's not on sale, but I loved this so much that I splurged. And really, because I found it at Target, it's already reasonably priced at $39.99. The fit is great, it has a cute hood and I can tell I'll be wearing it a lot this season. 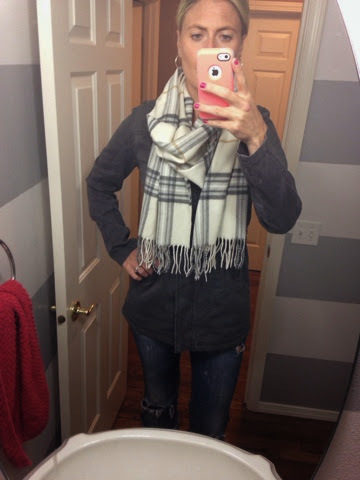 Paired with this super cute plaid scarf from Ross and I'm even more in love!! Finally, I purchased a new puffer vest. I have about 6 of them in my closet and most I've had for many, many, many years. In fact, I should probably get rid of a few. 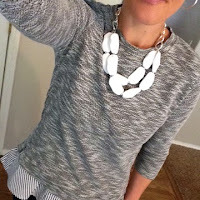 I've always had my eye on white and this one from Old Navy was on sale and a great deal. White goes with everything and is such a crisp look! I paired it with this plaid shirt, but it could be worn with a thermal, a long sleeved striped shirt, or really anything. Love versatility! So there you have it! Plaid, plaid and more plaid!! Can't get enough, this season!! I'm super excited to share results from the style challenge. I know several of you readers are in the challenge too, and I'm hoping you are willing to share your outfits. We have a super top secret Facebook group that has been amazing so far! If you sign up, you get into the group and get to see the way that everyone else is styling their outfits. I've gotten so many great ideas, that simply joining that group has seemed well worth the minimal amount of money I've spent on the challenge. Is anyone else loving plaid?! How are you wearing it this season?? 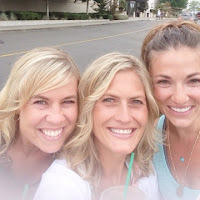 This post is linked up with these fab ladies--Andrea, Narci and Erika! 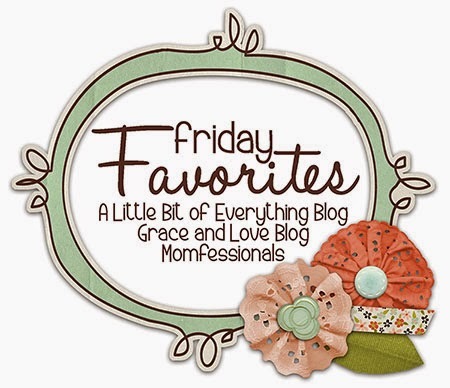 Be sure to check out their blogs for more Friday favorites!! oh love the stuff you got! I'll have to go check out Wet Seal, I was just there too and just looked at the scarves! Should have looked around more, but the ONE kid I had with me was having a melt down so I made it quick. Darn! Can't wait to see what you put together. 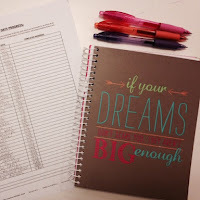 Are you joining our Wednesday link up? Oh, you definitely have to go back. They have a great selection! Because I had my kids, I didn't bother trying anything on, but I wish I could go back and spend more time there (or maybe it's better that I don't! 😉). Is the link up on Alison's blog? I dont think I realized that was happening. I'll definitely do it next week! 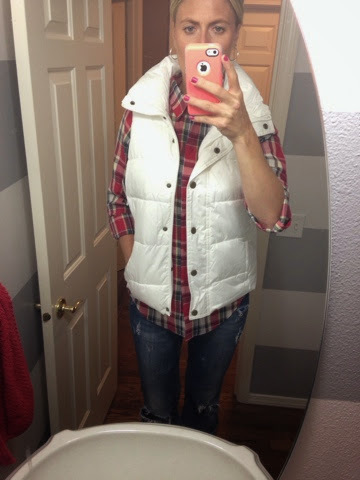 Love those plaid shirts and looks great paired with the puffer vest! Have a great weekend! Thanks, April!! I hope you have a great weekend, too! You know, I haven't really been a plaid-y girl. But you might have just convinced me.